Ubisoft is showing no signs of slowing down, coming off the release of the hugely popular Watch Dogs, and diving headfirst into the newest titles in the Far Cry and Assassin’s Creed series. With late 2014 releases scheduled for both games, it’s about time we start getting some substantial details, and hopefully some new video. Below are the most anticipated Ubisoft E3 games. 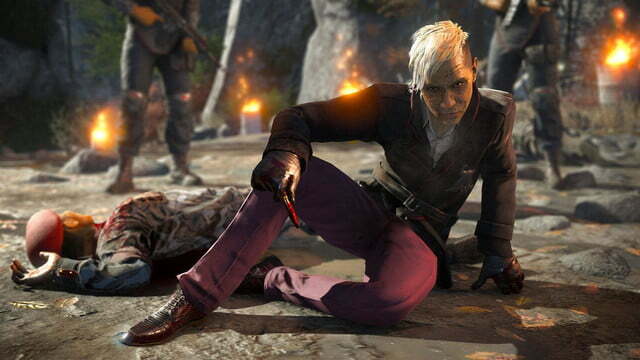 Update on 6-09-2014 by Emily Schiola: Assassins Creed: Unity, Far Cry 4, Tom Clancy’s Division, The Crew, and Valiant Hearts: The Great War were all confirmed at the Ubisoft E3 presser. 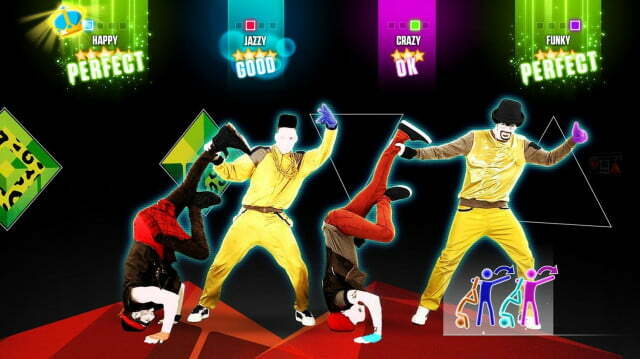 Just Dance 2015, Shape Up, and Tom Clancy’s Rainbow Six Siege were all added. We will continue to update. Set in 18th-century Paris during the French Revolution, Assassin’s Creed: Unity offers something different from the rest of the Assassin’s Creed games: co-op play. Now, you can play with three other people to create a killer team of assassins. Based on the onstage demo, gameplay looks the same as older versions but the movement has been refined. If you aren’t feeling like a team player, you can still be stealthy and deadly on your own. You can freely explore the streets, buildings, and catacombs of Paris, interacting with thousands of active AI’s who react to the choices you make. The newest addition to the Far Cry series takes players up into the Himalayan mountains, taking the island setting of the earlier games and flipping it on its head. This new wilderness setting should add many challenges and new story opportunities. All that’s been advertised so far is a small collection of promotional art, the locale, and that the character pictured in the header of this article has been revealed to be a villain of sorts. Rumors have been swirling for weeks that the game may include a wide breadth of wildlife and crafting opportunities, and some have mused that there may be monsters in the mountains. The recently delayed Division places players into a hostile New York just weeks after a flu pandemic has caused massive panic and destruction. The online shooter incorporates RPG elements like loot and skill charts, and will encourage teamwork and intense strategy with other players online. 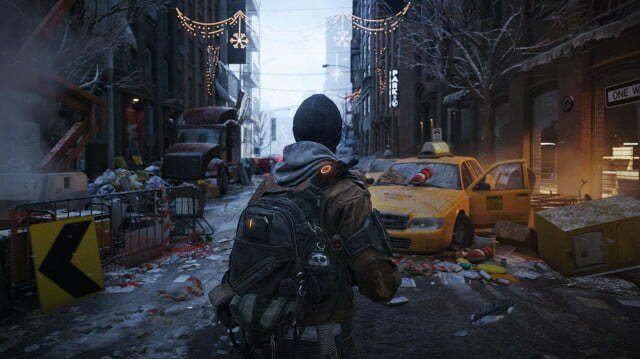 Like every Tom Clancy game, The Division will also focus on realism, both in style and gameplay mechanics. The game exists in a playable state with a good feature set, and is built on Ubisoft’s Snowdrop engine for incredible graphical performance. If you couldn’t get enough of that Happy song, Pharell Williams has been added to the Just Dance playlist along with Ellie Goulding and Calvin Harris. The game will have new songs, routines, and a “community” option where players can upload their dance routines and send them to other players on the network. This is an attempt to make the game more social and have users connect with friends and strangers though dance. Another new feature is the ability to play without controllers. If you find yourself stuck at a party with only two controllers, friends can download the free app to their smartphones and use that with a smart TV or tablet to track their moves. Never again will you have to guess who the best dancer is at a party; you can actually score it. 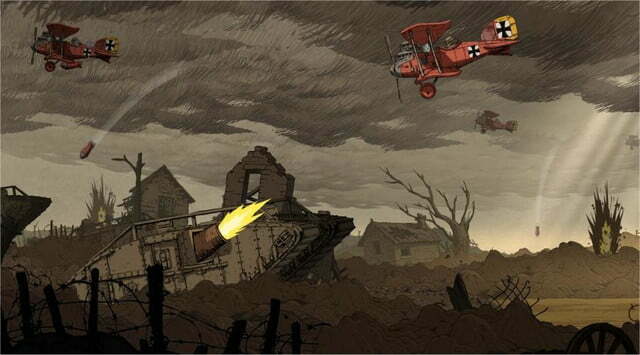 A distinct departure from the other games Ubisoft is bringing to E3, Valiant Hearts follows a number of characters through a puzzle adventure set against the backdrop of the first world war. Rather than fighting and shooting your way through, the game instead deals with the emotional and physical stress that goes along with war, and is built on the same UbiArt engine that was used for the Rayman games. It’s available as a digital download later this month, so the final version of the game will probably be along with Ubisoft in some capacity for players to try. Many people see working out as a chore, but Ubisoft’s new interactive game Shape Up is working to change that. Friends can compete in a series of challenges to see who can burn the most calories and perform best. There is a push-up contest where the fastest person wins, or dance competitions that get you moving but feel like games. You can play with a friend, or compete against your old high scores in order to improve. The onstage demo looked pretty goofy but the strange graphics and sounds are there to distract you from the searing pain in our biceps. Get ready to feel the burn in November. 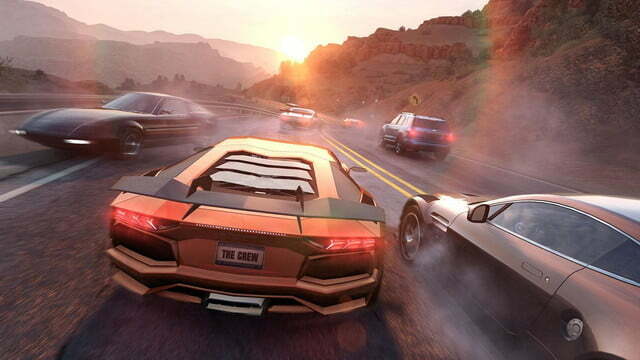 Ubisoft showed off its online racing game The Crew at E3 in 2013, and is still billing it as an upcoming game. The online elements are at the core of the game, encouraging players to form crews and race other drivers on iconic locations across the United States of America. There’s also a wide variety of customization options, from performance to cosmetic, and surely you’ll gain cred with other players online for having the coolest spoilers and slickest paint job. The game will be available Nov. 11, but you can still register for the closed beta that will start on July 23. The last trailer during Ubisoft’s press event made host Aisha Tyler cry with excitement, and it’s easy to see why. The on-stage demo showed a team of five using drones to survey a suburban house taken over by terrorists. Of course it wouldn’t be a Tom Clancy game if all they did was survey. You can use weapons and explosives to bust through walls, floors, and ceilings to save the hostage and get out of the building. The game lets you know how many people you are up against and how many people in your team are still active. 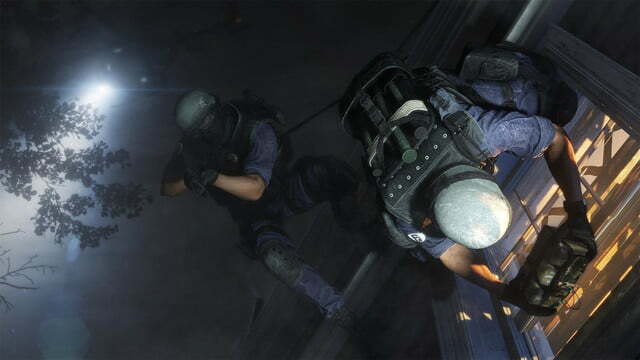 As is typical of Tom Clancy titles, the gameplay and graphics are realistic and gritty. Tune in to DT this week for all your E3 needs. Visit digitaltrends.com/e3 each day to keep up to date.